I was actually relaxing on the beach reading this book when a coconut came crashing down from the tree above me and smacked into the sand, landing close to my head. The near miss from the coconut really underlined the message of the story and there was one paragraph in particular which left a strong impression on me to make the most of life. It was a message I listened to, as for the last eight years since that fateful near miss with the coconut, I've lived by that philosophy and gone backpacking for five or six months every winter to see more of the the world. Life's too short to waste time doing things you don't want to do, and although perhaps reading 'A Bus Could Run You Over' wasn't the only factor which helped me arrive at that realisation, it nevertheless played its part in nudging me in that direction. Anyway, aside from leaving a positive impression on me this is a book which I would definitely highly recommend. Most people will probably be more familiar with Colin Butts' first two books ‘Is Harry On The Boat?’ and ‘Is Harry Still On The Boat?’ (on account of the TV series shown on Sky) and while they were also funny books, this is my clear favourite. It feels as if by this stage Colin has expanded on his ability to write very funny stories and added the ability to also create writing which can be very memorable and powerful. A massively underrated album by a massively underrated artist. 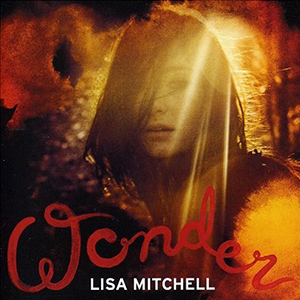 It’s not very often that I like an artist on first listen but when I first saw Lisa Mitchell supporting Newton Faulkner on his Rebuilt By Humans tour it was one of those rare occasions where I was instantly hooked. From the moment she opened with Neapolitan Dreams I was literally filled with excitement and I knew straight away that I had to get her album. The rest of her show that night was equally brilliant so not surprisingly I was just as impressed by her album Wonder. This was one of those albums which I originally listened to over and over. The stand out track would have to be ‘Oh Hark’ which incidentally is probably the most played track on my iPod out of a playlist of thousands of songs. It has a brilliantly infectious happy summer feel to it and if there was any justice in the musical world it would have been a massive worldwide hit. The fact that it wasn’t means that every radio playlister who overlooked this piece of musical genius should hang their heads in shame.